Novograf Ltd approached us to assist with their desire to reduce the cost of their electricity bills and improve their environmental credentials. The factory and office building consumes power for both design and production of branding and signage for the UK’s leading businesses and retailers. As well as desk based staff, the large factory floor uses state of the art machinery to produce their product, and all of these devices consume power. Approaching from both financial and energy viewpoint, Novograf put is in charge of providing a suitable solution. 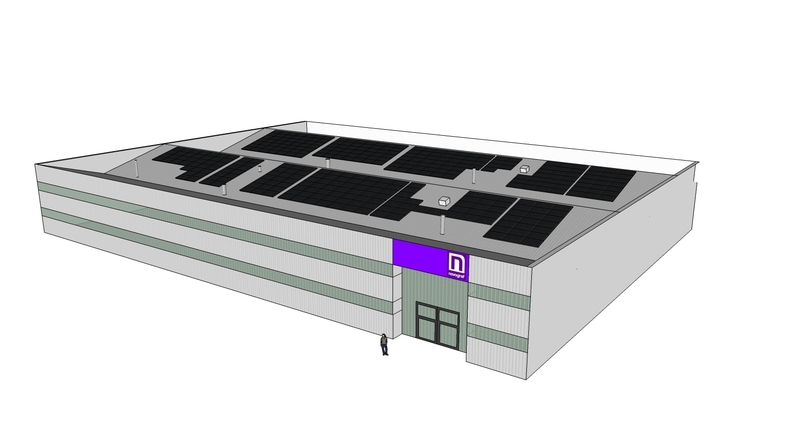 Solar PV was chosen, as the site lends itself to the technology. 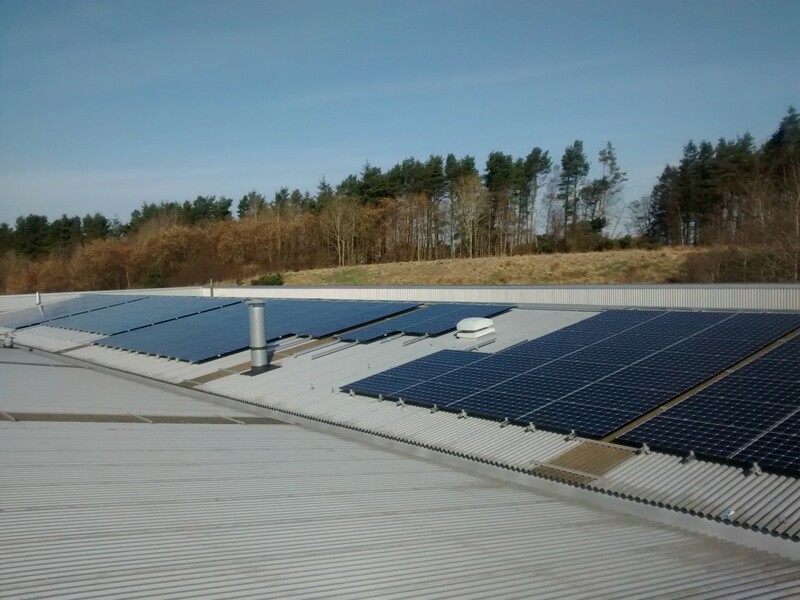 The South facing roofs presented adequate space to provide a 100kW system. This ties in well with the site’s electricity consumption and site’s export capacity. The system will also be eligible for collection of the Feed in Tariff for generated and exported electricity, making a positive financial case for the installation. The system will greatly reduce the site’s imported electricity consumption, displacing with their own renewable electricity generator. This has significant carbon savings associated. The system is estimated to produce 77,800kWh per year, equating to an approximate saving of 36.5 tons of Carbon Dioxide emmissions. We took a broad requirement from Novograf and worked to implement a suitable design. 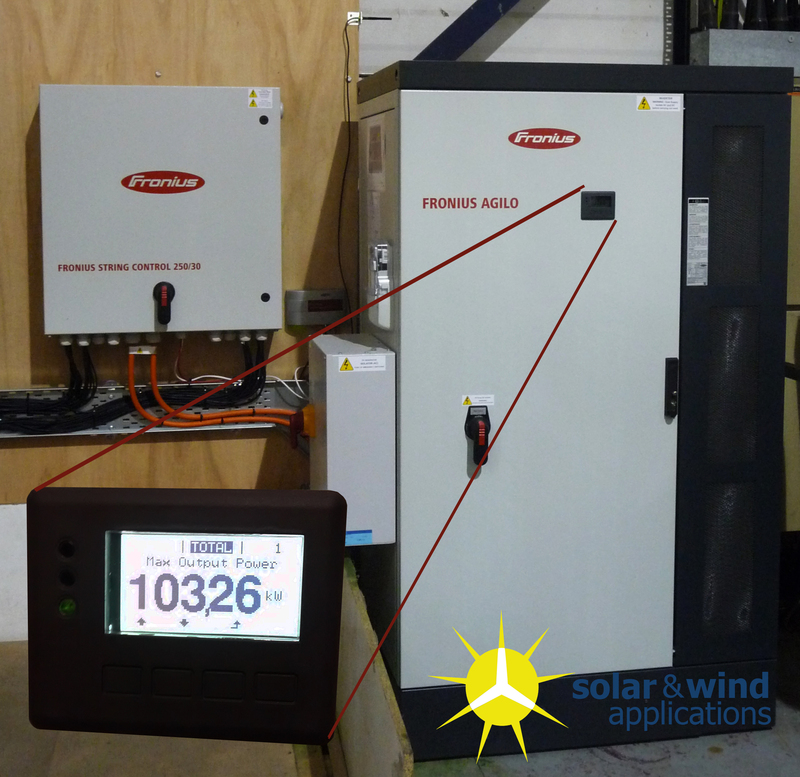 We opted for the Fronius central inverter, and designed the roof array to suit. We carried out 3D modelling of the building in order to lay out both the physical array, fixings, mounting structure and string layout. Due to the nature of the building’s use, there are several vent pipes protruding onto the roof. These cause some shade on the South facing areas, so modelling was used to reduce the impact of this as far as possible. Solar and Wind Applications also managed the planning and building warrant process on behalf of Novograf, as well as permissions surrounding the grid connection of the system. Novograf were delighted with the finished installation. Here’s their news article they released when their solar power came online! Of course you can give us a call or email to discuss this, or any other of our systems.